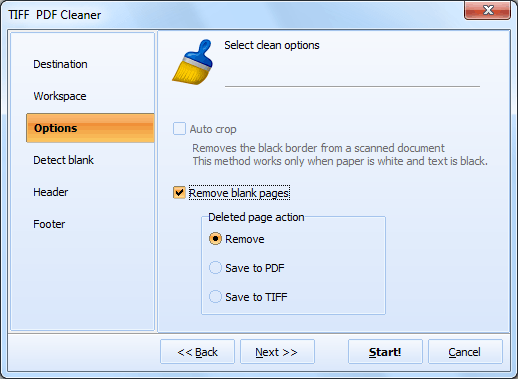 TIFF PDF Cleaner is a program that helps to make scanned PDF files clean from empty pages. Blank pages usually appear when you group a few scanned sheets into one document, and then user needs to remove them manually using some expensive PDF editors. With TIFF PDF Cleaner this problem doesn't exist. 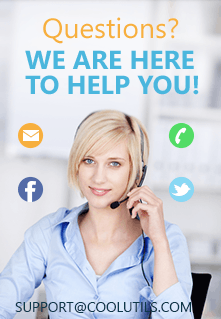 It removes empty pages automatically, detecting them with predefined sensitivity. But if you do not want to rely on the machine, check the deleted pages later manually (the blank pages are not really deleted, but rather moved to a new folder for further check). Adjustable sensitivity (tolerance) is used for correct detection of blank sheets in PDF of different quality. Sometimes papers are dark or soiled, but do not contain important information. In order to make the program recognize them correctly, you should adjust tolerance respectively. If you are a novice and not sure which tolerance to apply, you can make a couple of experiments with your files, to see whether it is adjusted correctly. 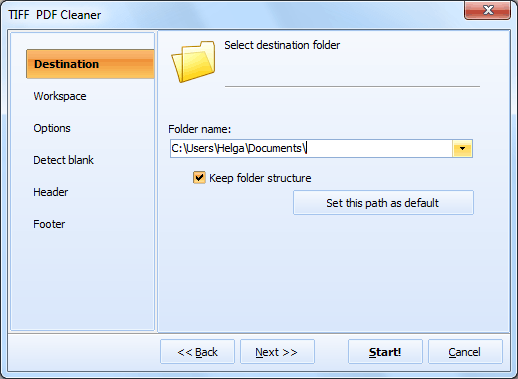 You will get PDF files cleaned from empty pages, and these empty pages will be saved into a separate document. Then you can test, whether the program worked correctly. If not, you can repeat the process with different tolerance. TIFF PDF Converter supports PDF and TIFF files and provides a lot of useful features for optimizing scanned documents. For instance, you can add pagination, date or file name to headers or footers, compress TIFF files by specific algorithm, set PDF properties or TIFF tags. All these features make documents handier for usage. 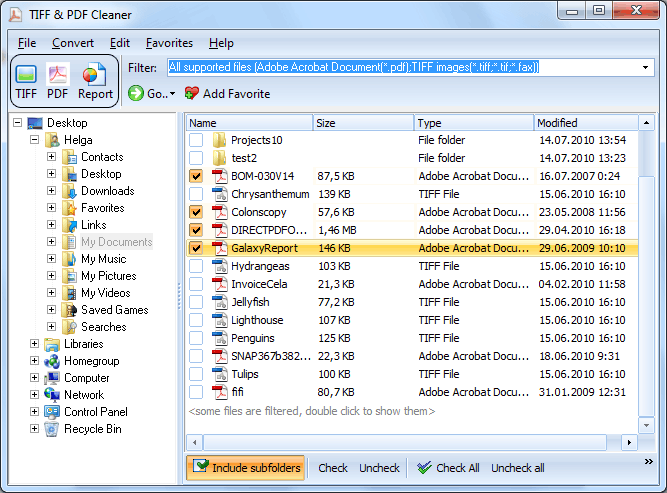 You can test TIFF PDF Cleaner for free. The trial version has full pack of features. Download the program for a quick test!